It has been a dismal and dark day for passengers at Hamburg Airport as officials were forced to evacuate the terminals and planes were diverted to other nearby airports. The reason for this closure was an electrical short-circuit that had plunged the airport into darkness early on Sunday morning. It was around 10am when the power outage began and at first it was thought would only be out for a short while, however even by afternoon the power was still out. 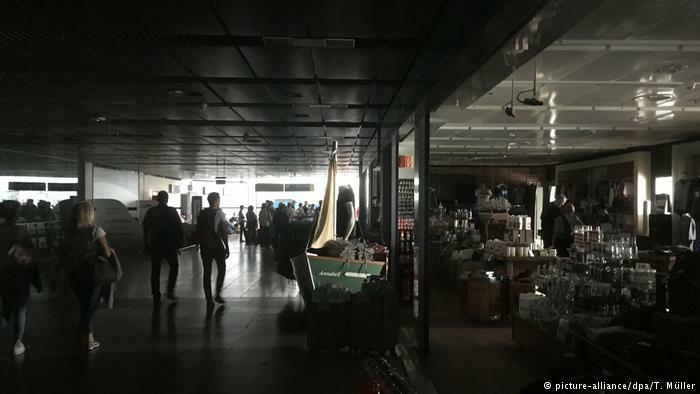 This evening, according to local media reports, airport officials still can't say when power would be restored and operations will resume. An airport spokesperson said the "Airport currently closed due to a power failure incident at, passengers should contact their airline for further Information. The airport is forced to suspend flight operations for the rest of today as it was not possible to correct the error. We apologize for the inconvenience to all passengers, collectors and relatives concerned"